Reading- We have continued setting up procedures for our reading workshop this week. Our main focus was "reading is thinking." We brainstormed things good readers think about while reading, how we choose book, and what types of books we prefer. We also introduced our Reader's Notebooks this week, and next week will dive into how to write about reading in them. Math- We've continued reviewing addition and subtraction strategies and today were able to spend nearly our entire math time playing workplace games. Students were super engaged during this time and those who have a solid understanding of addition/subtraction strategies were able to focus on strategies to win the game. Writing- This week we began planting seeds for our writing by creating a Heart Map with things we love. We also made lists of things to get us thinking, and talked about why writers write. 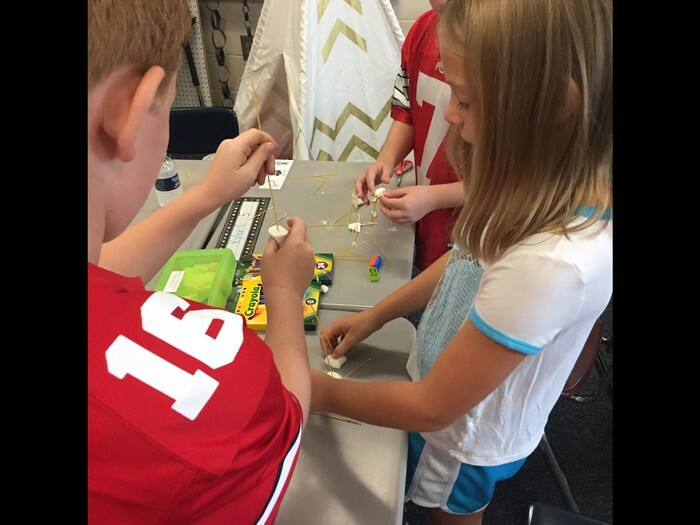 Genius Hour- We introduced Genius Hour this week and students are so excited. We started thinking about our passions and things we wonder about, so we can unlock our inner genius. :) You will learn more about Genius Hour at Curriculum Night. For homework this week I wanted to do another activity that would help build our classroom culture. This will be due on Friday September 7th. We have a class pet who is mostly kept in Mrs. Callahan's classroom. If you would be interested in caring for him for a weekend, you can sign up below. We will take the Reading portion of the MAP test next week, on Wednesday Sept. 6th. Curriculum night will be next week, Weds. Sept. 6th from 7:00-7:45 pm. If you aren't able to attend I will make the slide show available after the event. 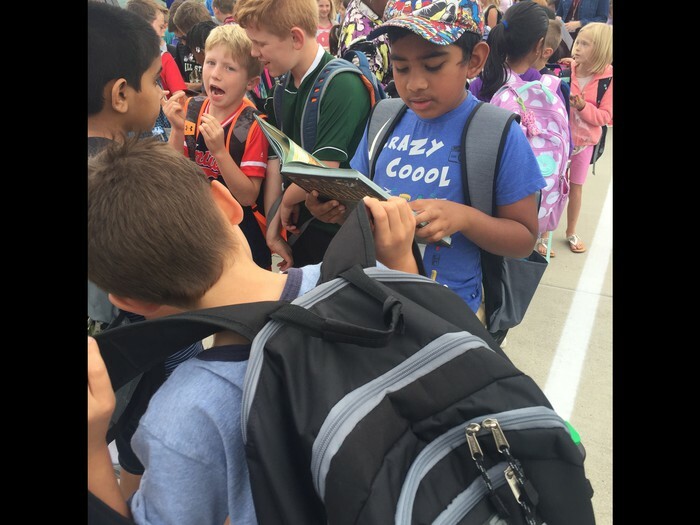 Checkout Pictures from our Week! 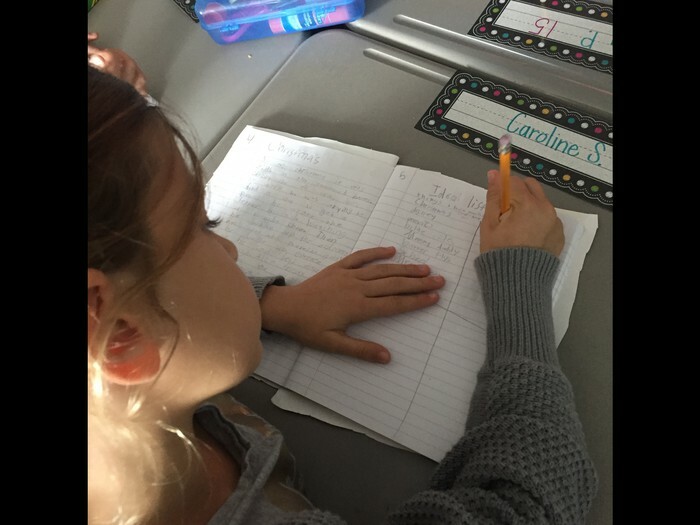 We make lists to help us brainstorm ideas of stories. We made some serious lists and some silly lists. Who can build the tallest tower with spaghetti noodles, tape & marshmallows. The tallest one checked in at 29 inches! Wow! We read The Best Story and learned a lesson that the best stories come from the heart. 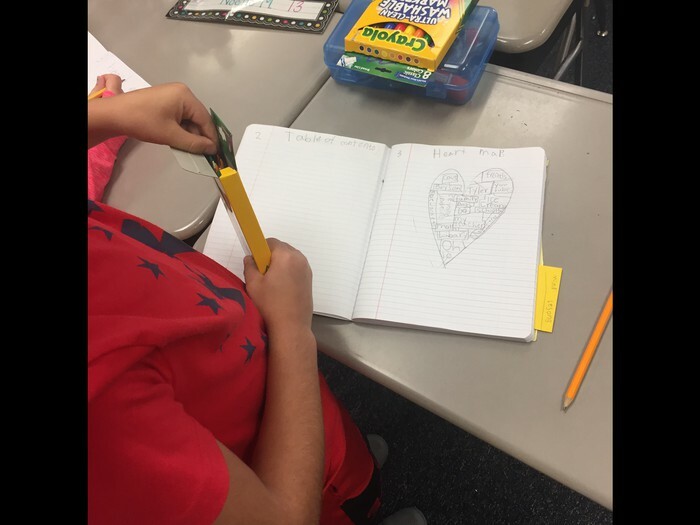 We made our own heart maps to look inside of our own hearts. 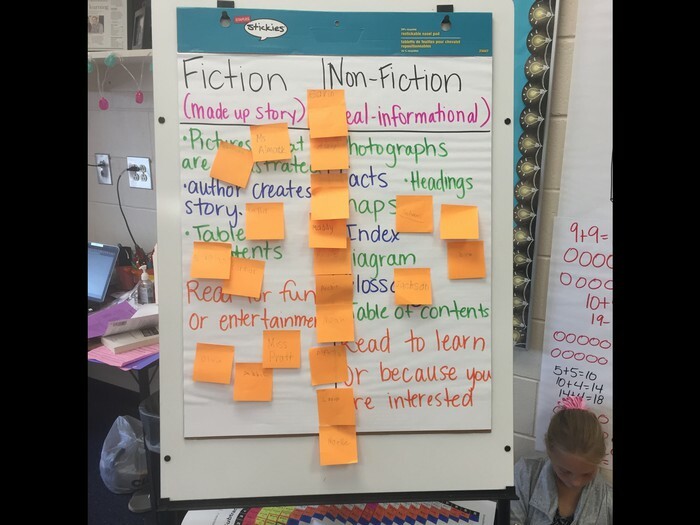 We looked at similarities and differences between fiction & nonfiction texts & took a survey... which type do you prefer? 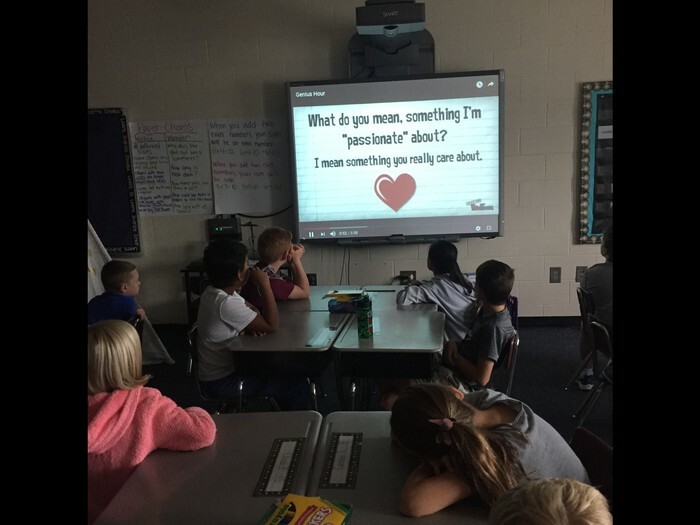 Students reflected on their passions after learning about Genius Hour this week.